Friendly hotel and staff who made Halloween great fun for those staying even though we didn't join in ourselves. Excellent location and good entertainment (animators, evening shows, etc). Very close to the beach and to the restaurants/shops. Big balcony with sunbeds. Bed was great, pool was amazing and the location was brilliant. 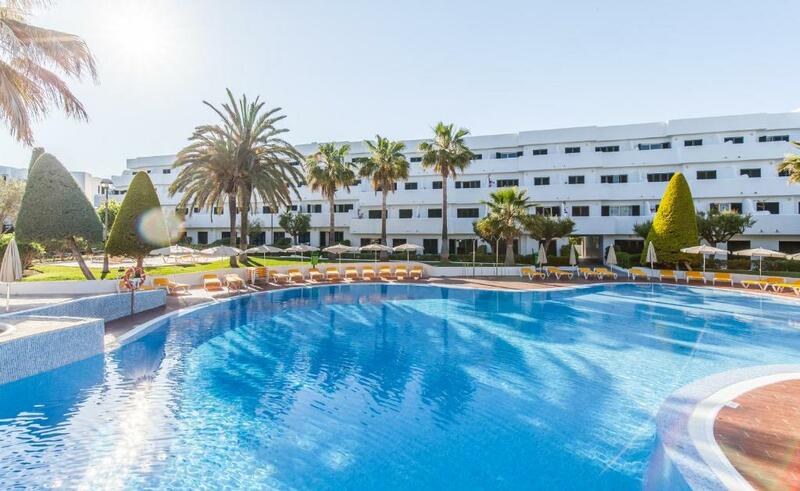 Comfortable and large beds, big terrace with sunbeds. The beach is 5 minutes from the property. 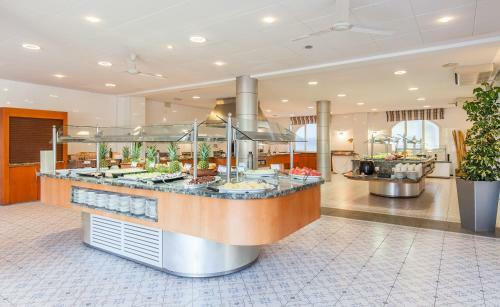 Restaurant and bar in the resort and also swimming pool. 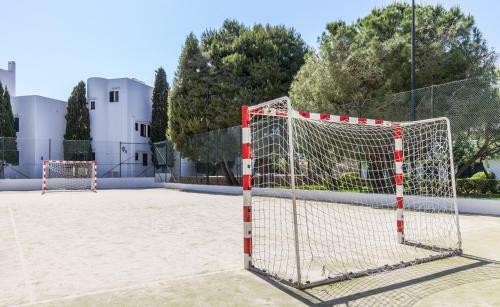 Very nice apartaments.Close location to the beach 3-5 min walking, Close to shops and restaurants.Nice swimming pool(water is freezing) maybe summer time is warmer.Nice place to stay. 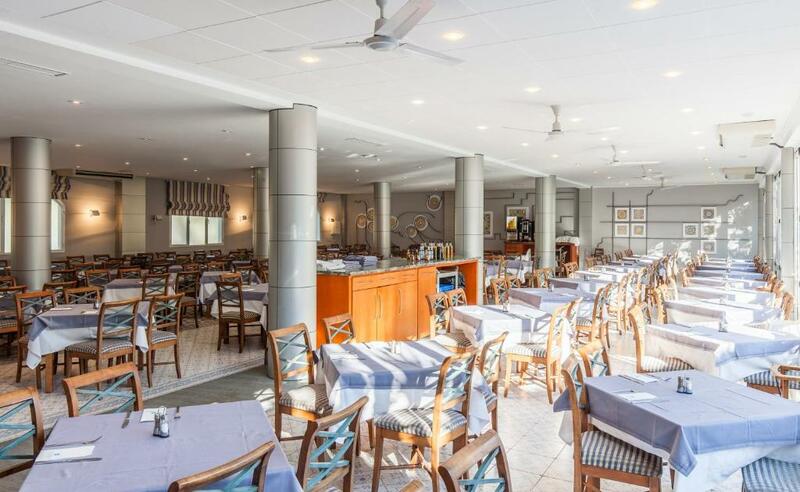 Only ate in the restaurant a few times during the stay, but when we did it was great food, plenty of choice, good quality, friendly staff. Good ambiance in a clean environment. We only ate twice as it was our first time to the area and wanted to experience as much as we could in the surrounding areas. Comfortable bed, spacious self catering unit,v good air conditioning.the separate swimming pool in the garden was very relaxing. 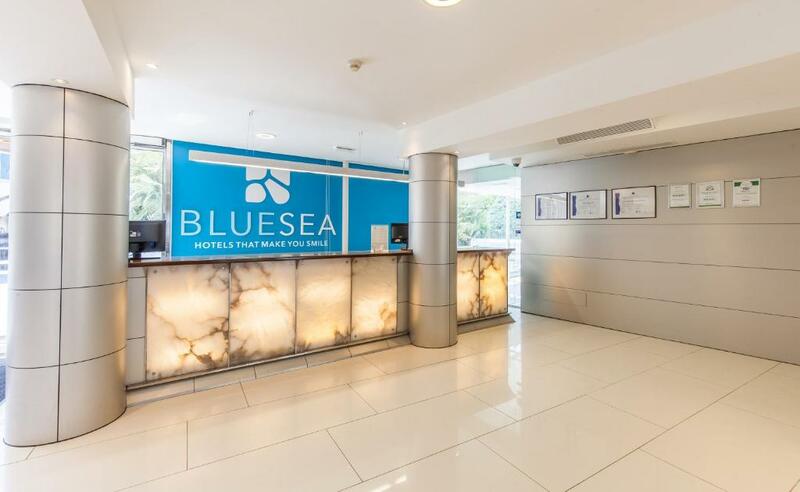 Blue Sea Es Bolero This rating is a reflection of how the property compares to the industry standard when it comes to price, facilities and services available. It's based on a self-evaluation by the property. Use this rating to help choose your stay! Footsteps from Cala d'Or, these cheerful apartments are set around an outdoor pool in pretty gardens. 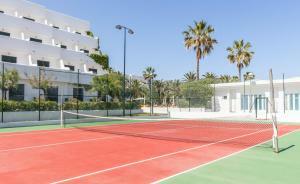 Enjoy the facilities of the adjacent Martha complex with tennis courts and buffet restaurant. The Blue Sea Es Bolero is located just 1,000 feet from Majorca's coast and the area's fabulous beaches. Stay active on the nearby Martha's facilities. 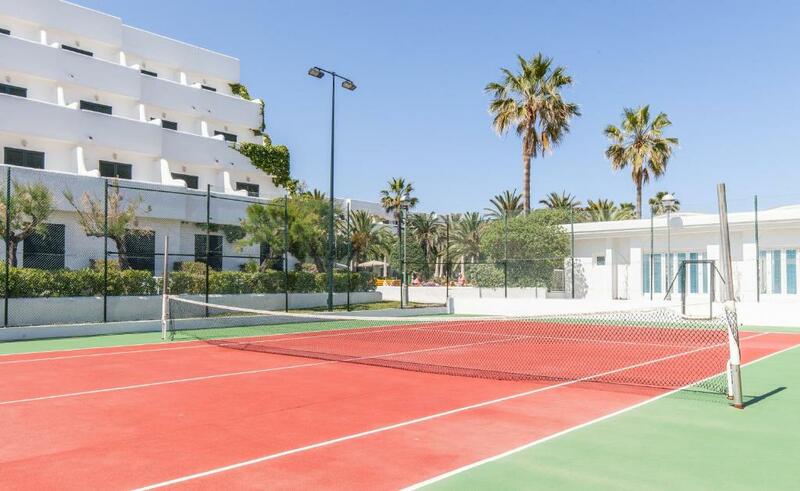 Play tennis or basketball in the sunshine before relaxing in one of 3 pools or taking part in the entertainment program. In the evening, head to the disco after a wholesome buffet meal or a tasty pizza. Children will have fun and make friends in their very own pool. The Blue Sea Es Bolero Apartments are built and designed in a traditional Majorcan style. All enjoy private balconies and some lead directly onto the Bolero's gardens. Other on-site facilities include a free safe, and a shared laundry room. 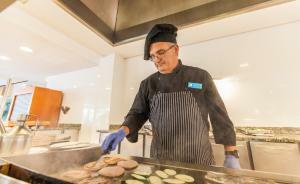 When would you like to stay at Blue Sea Es Bolero? This 1-bedroom apartment has a 49 ft² terrace and a spacious lounge with 2 sofa beds, satellite TV and a dining table. The kitchenette includes an electric hob and a fridge. Air conditioning is also provided. House Rules Blue Sea Es Bolero takes special requests – add in the next step! Blue Sea Es Bolero accepts these cards and reserves the right to temporarily hold an amount prior to arrival. Entertainment quality is average, but fine mini discos for kids :) Cocktails below average. Tap water is awful, you can even feel it when brushing teeth. They just dumped us in a room right at the corner, it is not handy at all with an young family with lot of noise. No wireless, come on in this Day and Age, no wifi in rooms, what are you talking about!!!! The weather was dreadful so we were unable to use the pool but this was not within the control of anyone. the room was a little dusty and the cooking facilities were minimal. The sliding doors to the balcony were sticking and very hard to open in the lounge. The water in swimming pool was cold. The Wifi was very slow and unstable and wasn't free. The room was not very clean. We booked a room for 2 adults and 2 children (6 & 7 y.o. ), but there were not enough bedding for all of us. The water from the tap was salty. Parking could be a problem at busy times. Leisure entertainment staff were fantastic. We asked at the reception for the invoice and they waren't able to issue that for us after our stay. A little bit noisy from neighbour's bar. Water is not drinkable fro the tap.Also water in shower is very smelly .Free or paid wi-fi is very poor. Having only booked a studio apartment, we wish we had booked a larger room with a double bed. The initial pictures shown of studio apartments are not that clear. However, we did not spend much time in the room so it did not concern us that much. Screaming groups of kids in the large pool when they should be in the kids pool.